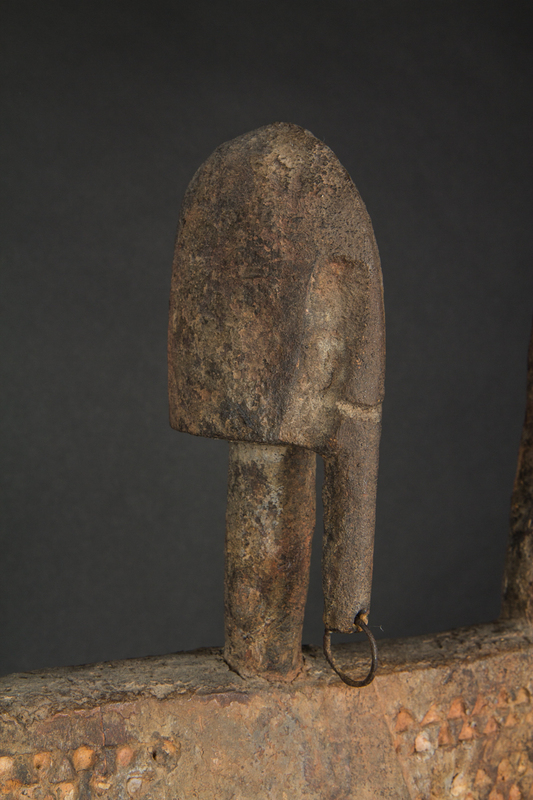 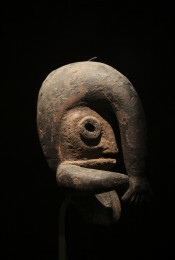 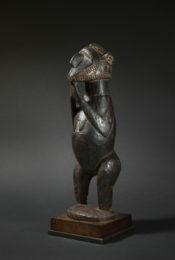 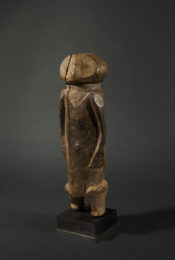 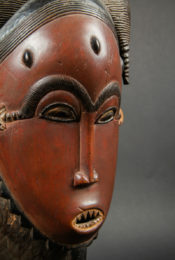 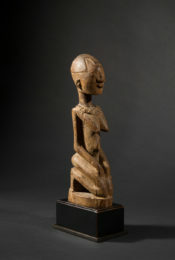 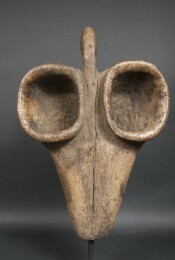 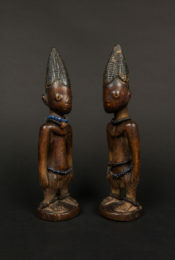 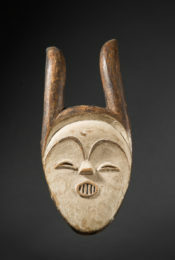 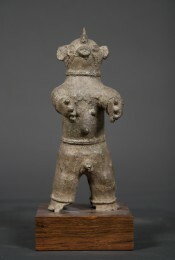 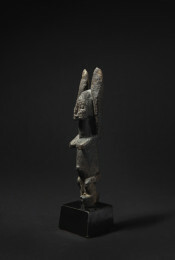 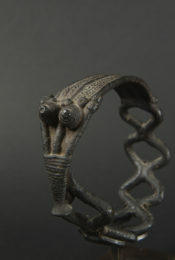 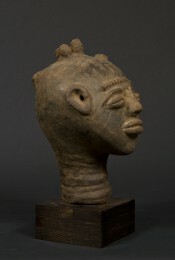 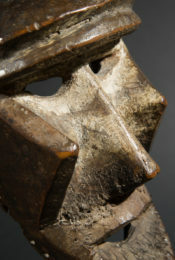 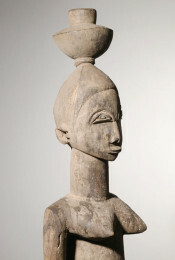 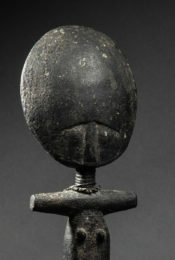 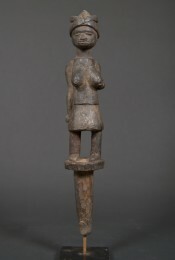 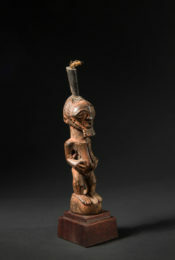 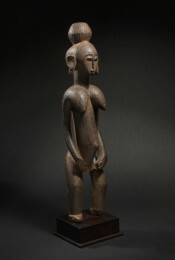 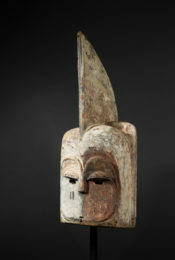 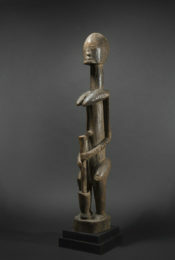 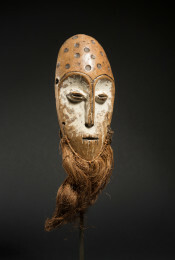 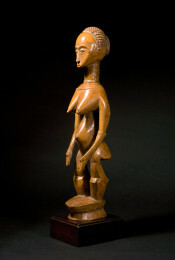 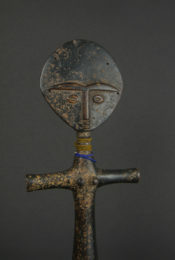 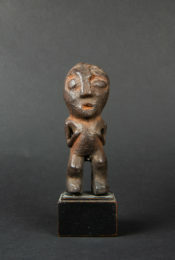 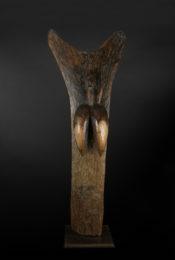 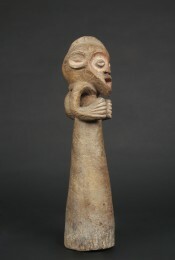 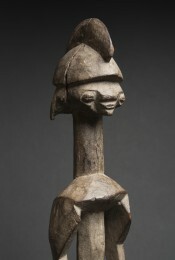 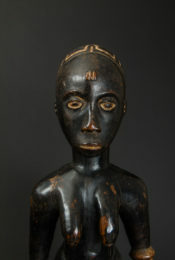 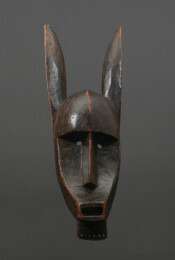 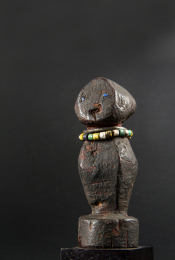 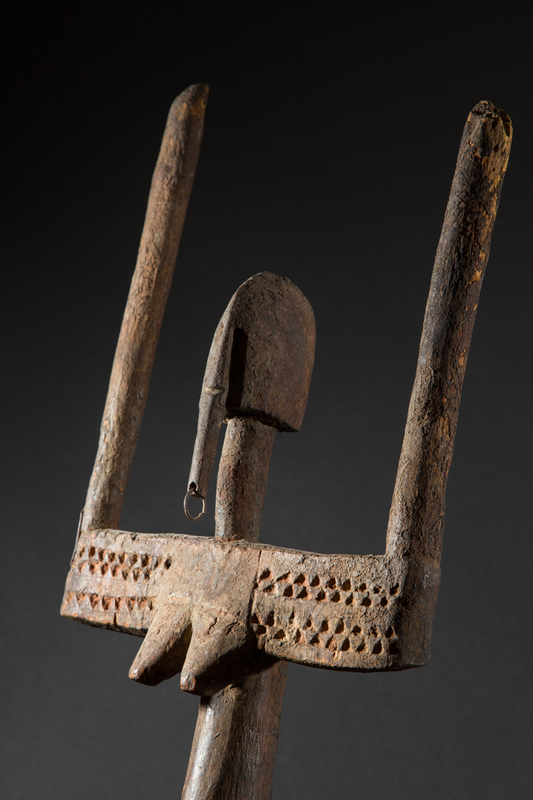 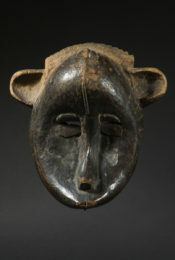 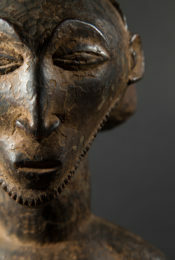 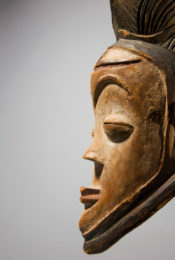 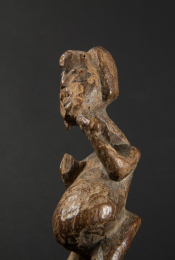 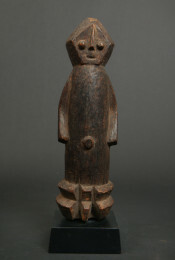 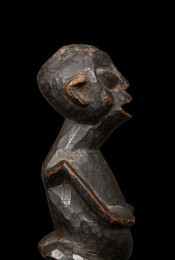 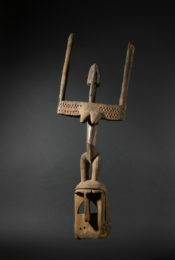 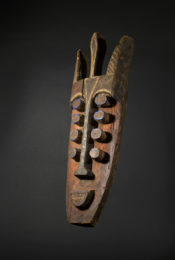 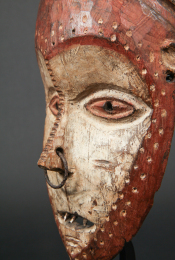 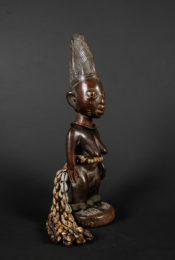 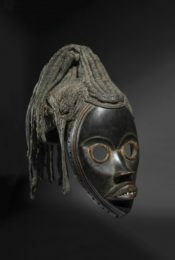 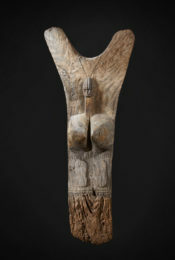 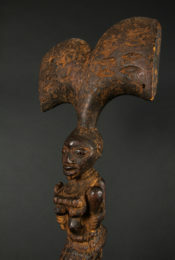 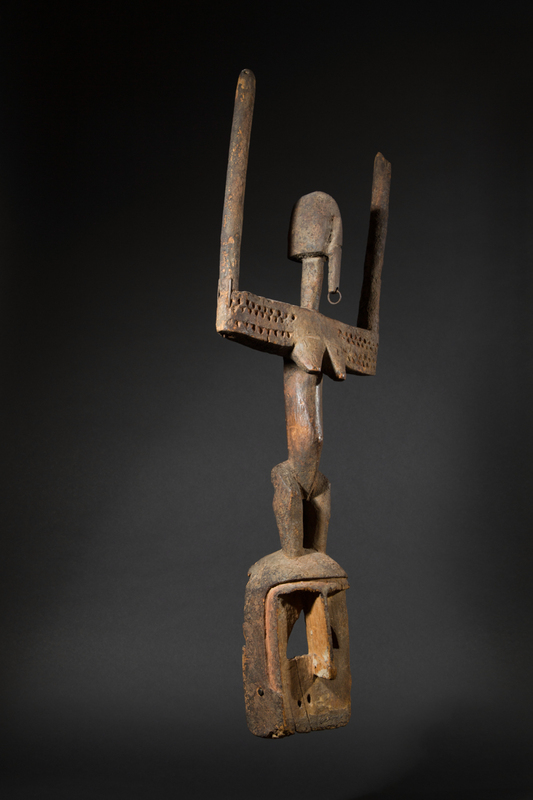 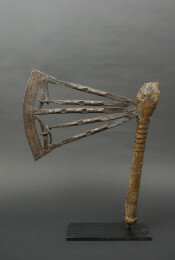 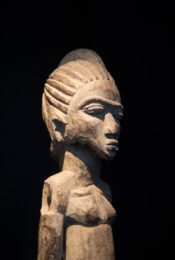 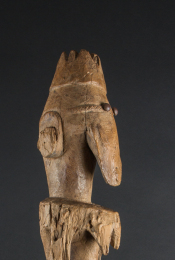 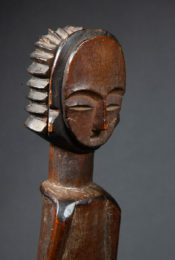 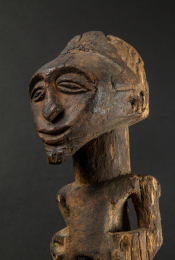 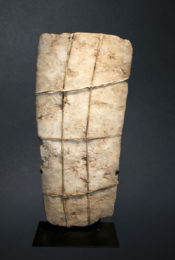 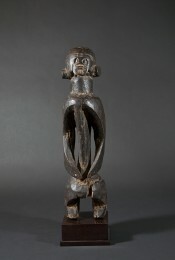 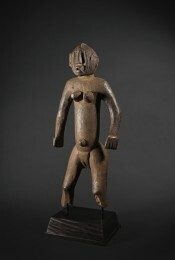 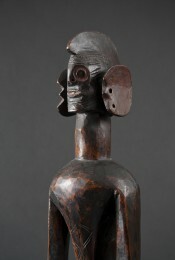 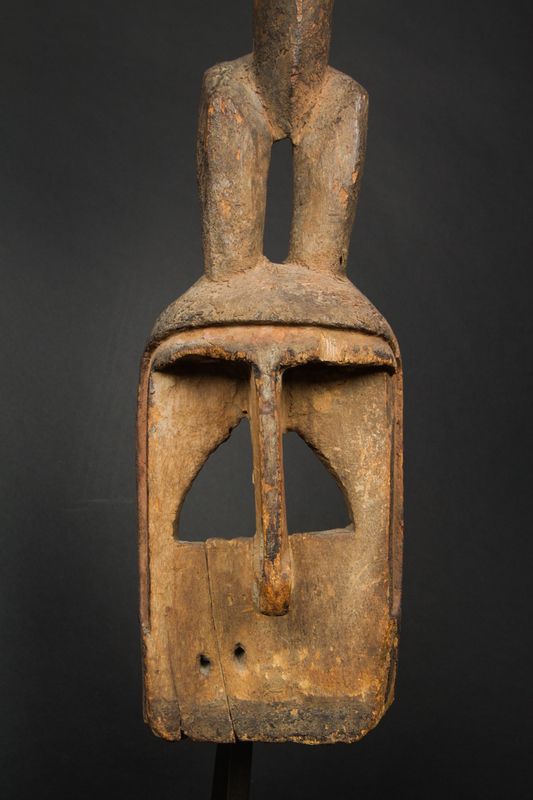 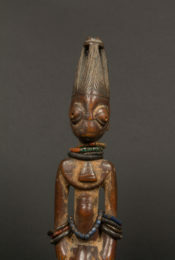 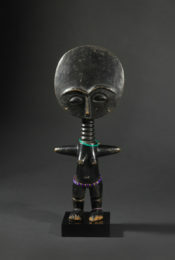 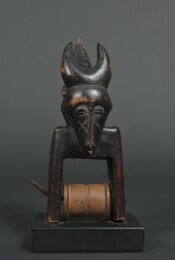 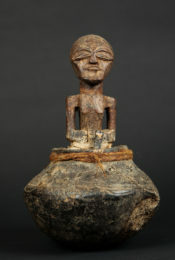 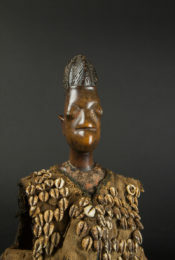 Among the awa, the Dogon society of the masks, the satimbe (meaning "the sister of the masks") commemorates a primordial female ancestor, a yasigine. 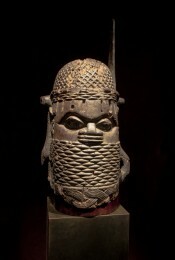 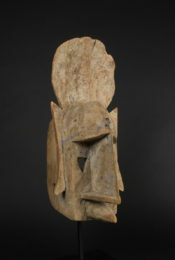 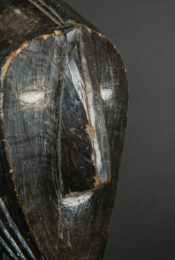 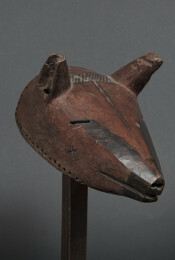 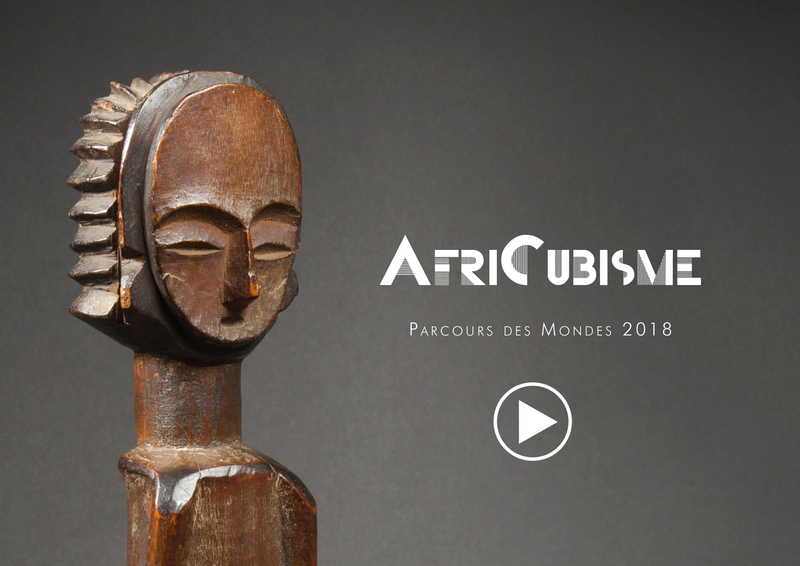 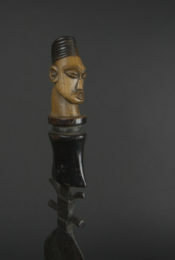 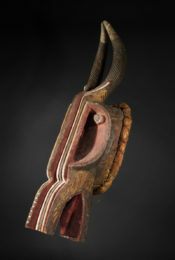 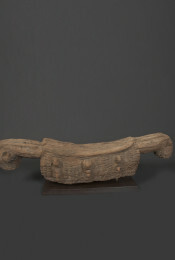 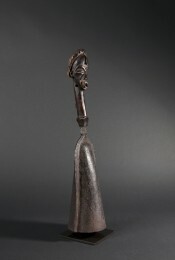 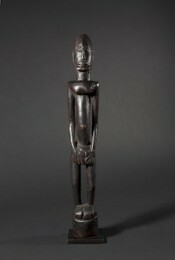 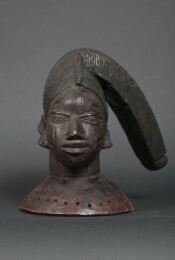 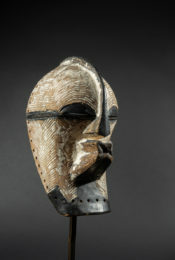 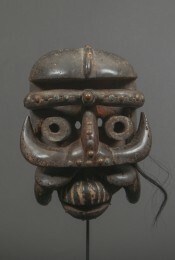 The satimbe mask is distinguished by the presence of a female figure surmounting the mask. 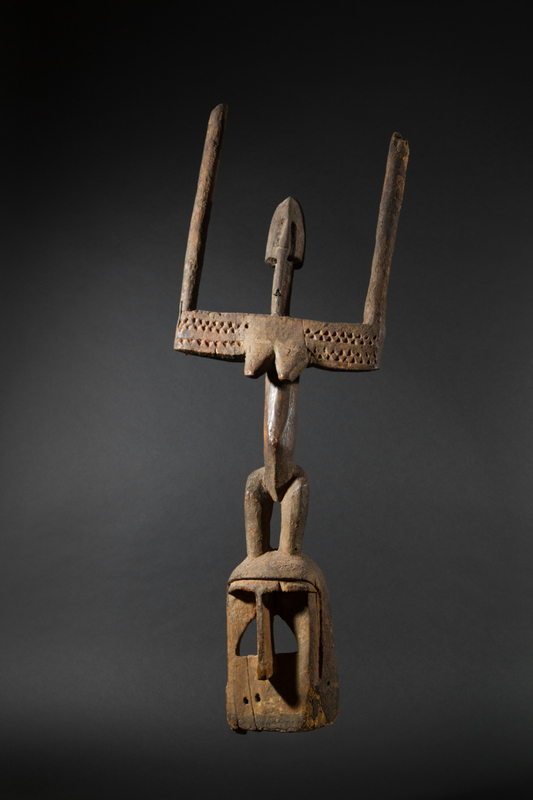 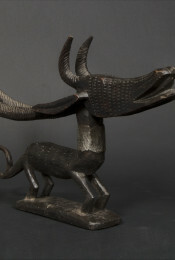 According to a Dogon myth, it was this female ancestor who taught men how to dance masks in order to give material support and to channel the nyama, the vital energy present in every living being. 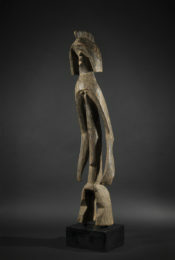 The formal boldness in the stylization of forms and the architectural construction of the figure with raised arms are particularly noteworthy. 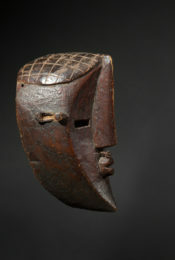 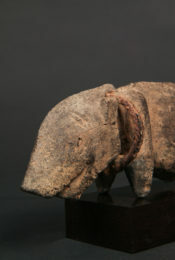 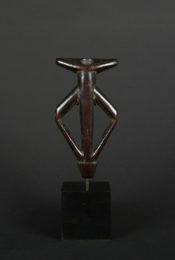 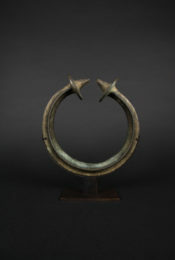 The exaltation of feminity is evident in the sculptural quality of this archaic and refined mask.